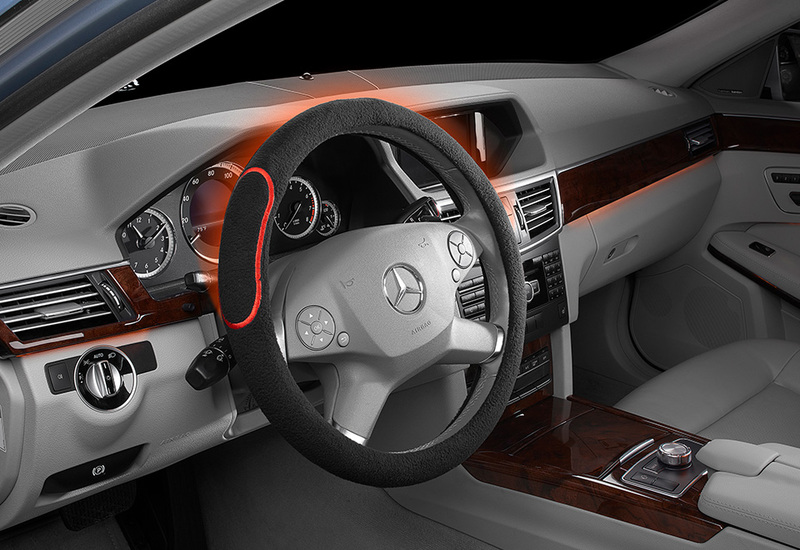 The Heated Steering Wheel has built-in heating elements at “10 and 2” to keep your hands warm and comfortable. Simply slip it over your vehicle's standard size (15”) steering wheel and place the fully charged 4,000 mAh Li-ion power bank into the hook-and-loop enclosure. It starts warming up in just 60 seconds, with a toasty top temp of 125°F. 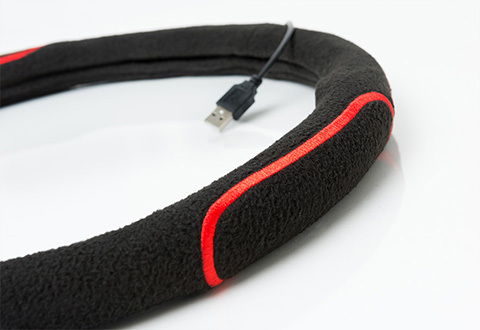 Stays warm continuously for approximately one hour. 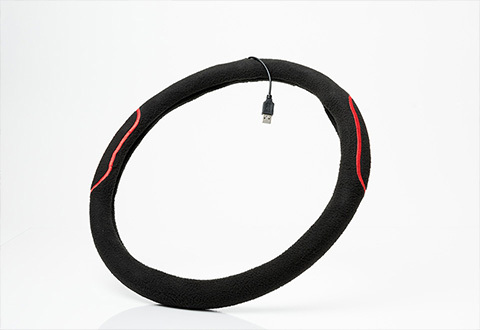 Keep your hands warm and toasty with the Heated Steering Wheel. It slips over your standard size (15") steering wheel and starts to warm up in just one minute. NOTE: Since the cover has a snug fit, please install it slowly, working from one side with a back-and-forth motion. The red stitched areas where the heating comes from should be around the 10 and 2 O’clock positions.